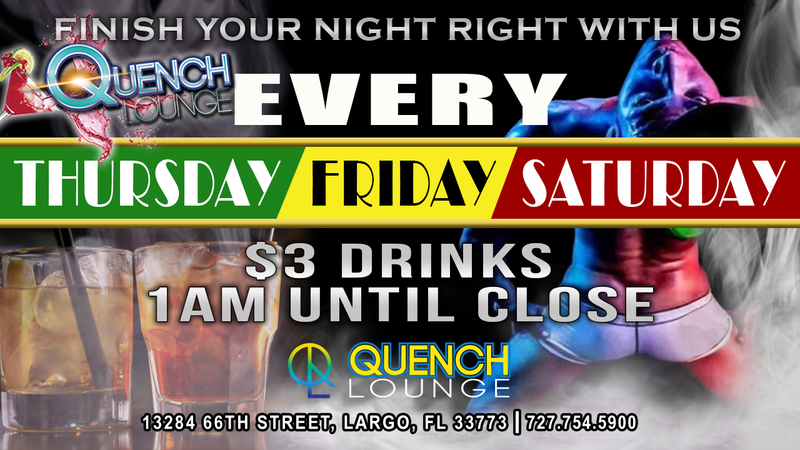 Quench Lounge is the sexiest, “all welcoming” Gay/LGBTQ bar (straight friendly) in Pinellas County. Located “At the Center of Everything” at 13284 66th St N, Largo, Florida 33773. (This is the S.W. corner of the 66th St and Ulmerton Rd intersection, behind the Arby’s and Mobile gas station). 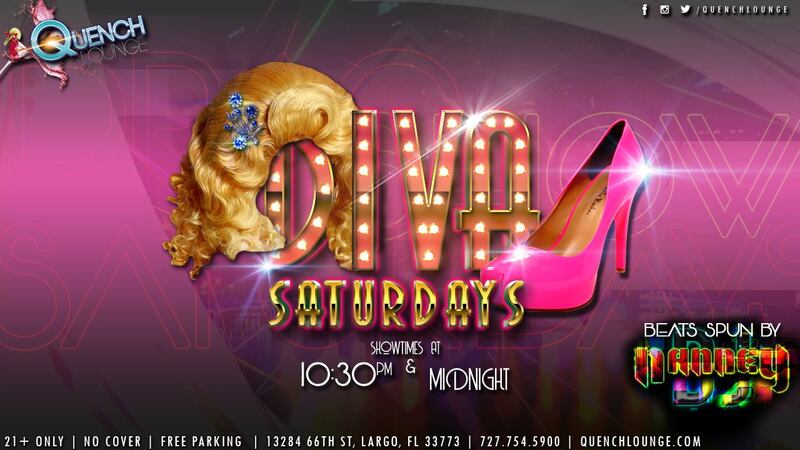 Quench specializes in producing parties, special occasions and fundraising events. 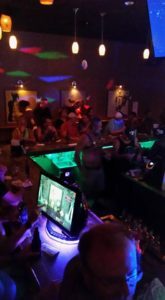 We have held several fundraisers (St. Pete Pride, ASAP, Metro, Francis House, Largo Library Foundation) and private events (birthday, bachelorette, retirement, promotion parties) so book your next event with us. 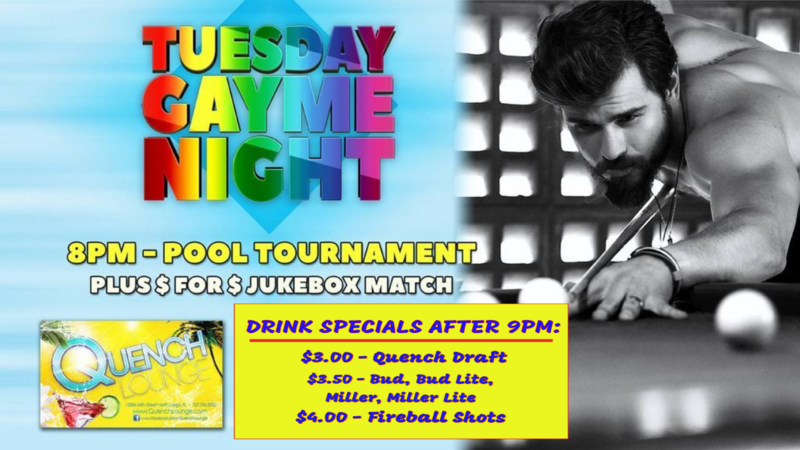 We offer a fun, safe, non-smoking (smoking permitted on our covered patio) environment to relax, socialize and be entertained. 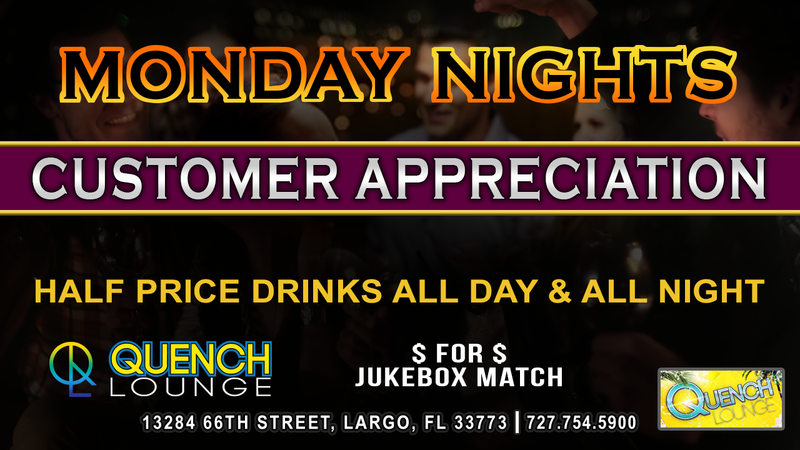 Come experience our stylish, upscale décor and ambiance with competitive drink prices served to you by our fun, friendly staff. 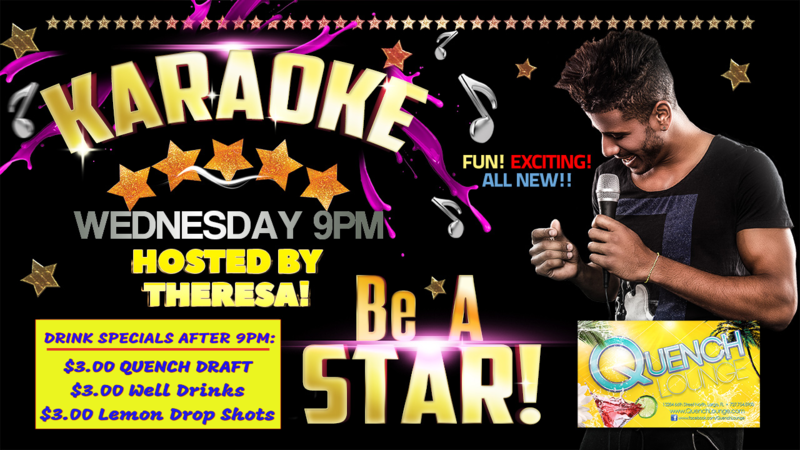 Check out our Facebook page for details about our events here at Quench Lounge. And if you want to be the first to know what's happening, join our Text Club! 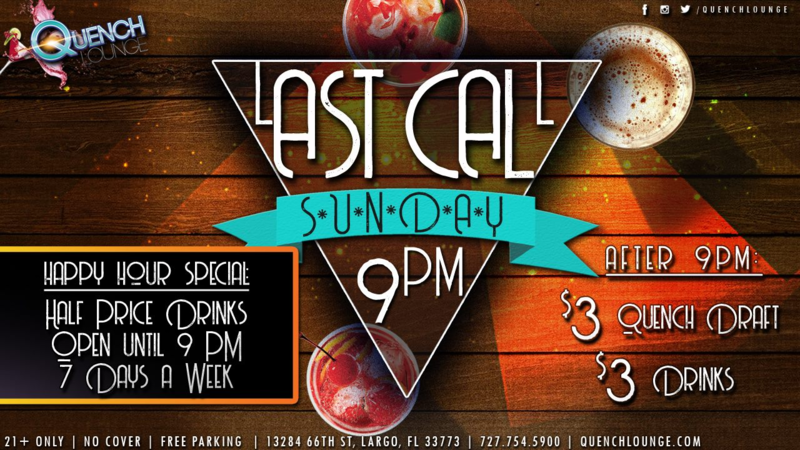 We'll keep you updated about events & specials at Quench!